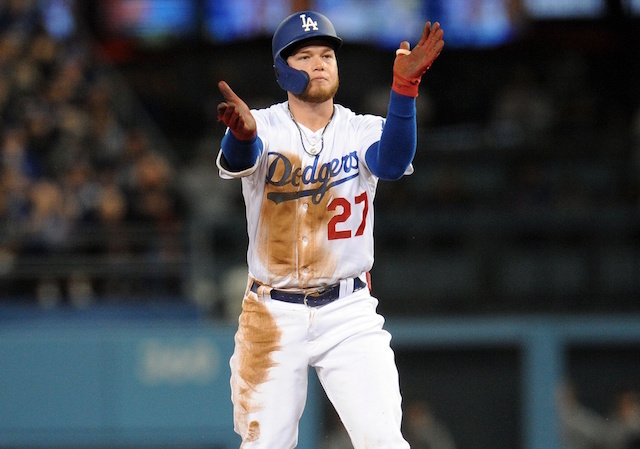 Despite battling injuries to several key contributors, and losing Brandon McCarthy and Hyun-Jin Ryu for the season, the Los Angeles Dodgers managed to win 92 games and a third consecutive National League West title. Kiké Hernandez and Yasiel Puig were among the players lost to the disabled list for prolonged periods of time due to hamstring strains, but both managed to return prior to season’s end. 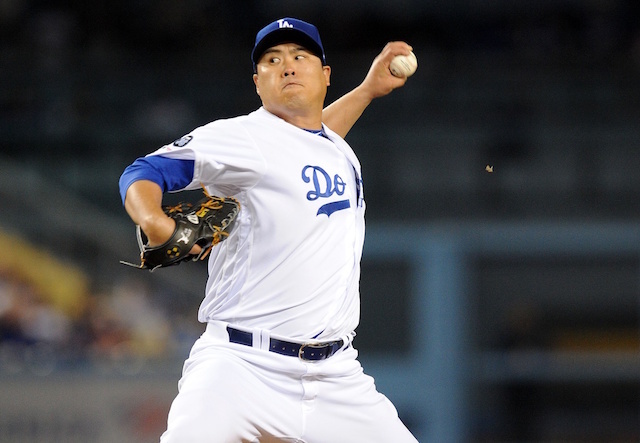 Hernandez was reinstated from the 15-day DL on Sept. 28, while Puig was activated on Saturday. Puig started in his first game off the DL, but wasn’t in the lineup on Sunday. He did however, enter Sunday’s game in the fourth inning. Given that hamstring issues throughout the year limited Puig to just 79 games, and his recovery included sudden and surprising improvement, how much he can be relied on is unknown. “We didn’t see him run full speed at any point [Saturday],” Dodgers manager Don Mattingly said of Puig’s return. While the Dodgers spent the majority of September taking advantage of expanded rosters, they’ll need to trim down to a 25-man roster for the postseason. 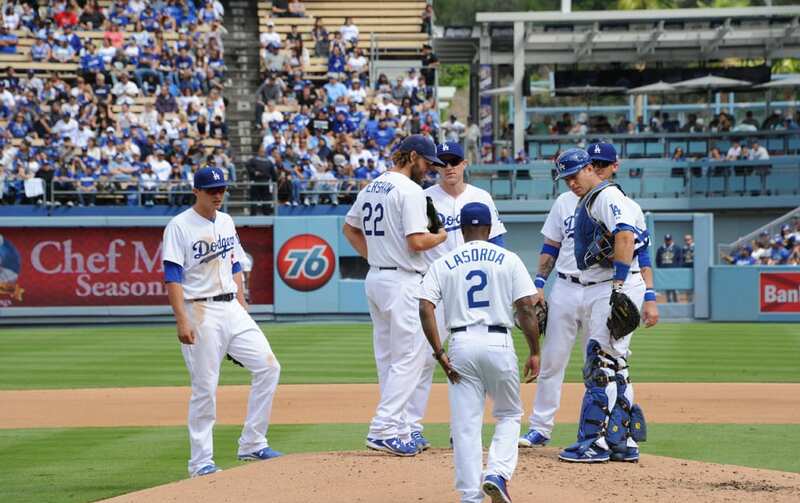 Prior to Puig’s largely unexpected return, he didn’t figure to be part of that equation. Amid uncertainty of what he’ll be able to contribute, Puig is open to filling any role for the Dodgers. “I’ve got to be there. All we have to do is win against the Mets, focus on the playoffs, do well, and our goal is to win the World Series,” he said. “So anything I can do to help, whether I start or don’t start, doesn’t matter. 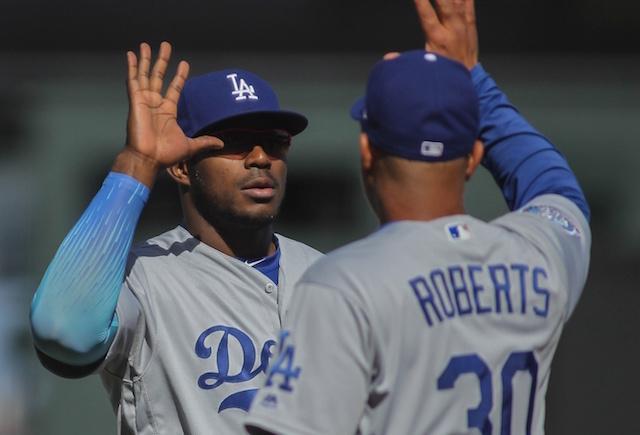 I just want to be there to help.” While Puig was among the players who struggled in last year’s NL Division Series against the St. Louis Cardinals, striking out in seven consecutive at-bats at one point, he remains confident as brighter lights will shine come the weekend. 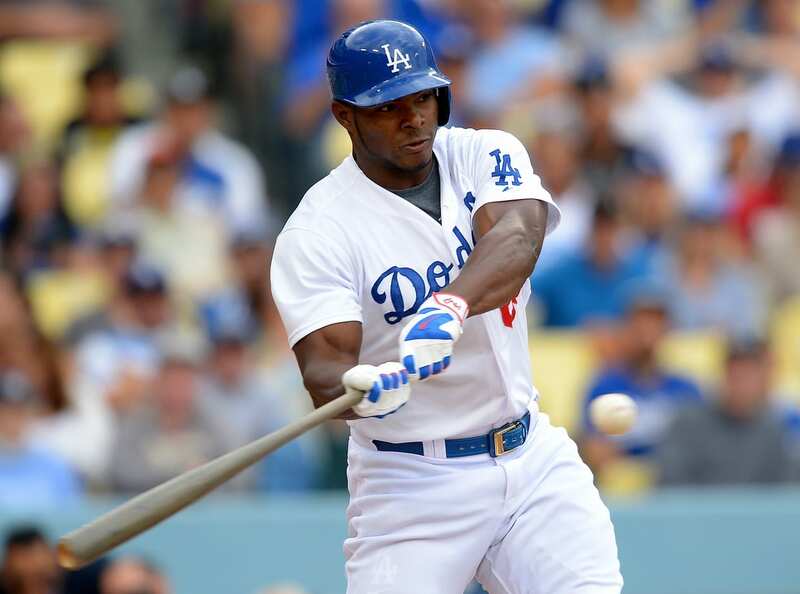 Puig finished the regular season batting .255/.322/.436 with 11 home runs and 38 RBIs. In 14 career postseason games, he’s hit .314/.364/.412 with two triples, one double and five RBIs; including .379/.438/.483 in eight NLDS games.